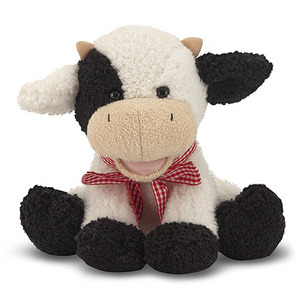 From its smiling face to its tufted tail, this eight inch baby cow is stuffed with personality. Gently squeeze its belly to make it moo. With a jaunty red gingham bow, this cuddly calf will win friends in the barnyard and beyond! Dimensions: 8" x 9" x 8"
With blankie-like ears and a long trunk, there's plenty to cuddle and squeeze! Weighted bottom gives Sterling a pleasing heft and helps him stay seated. Introduces kids to one of nature's most interesting creatures. 10" x 7" x 3"
TRAPP 3.75 OZ 30HR BURN TIME $15.00 EACH!!! TRAPP 8.75 OZ 70HR BURN TIME $27.00 EACH!!! Call to have one of these lovely scents added on to any order!